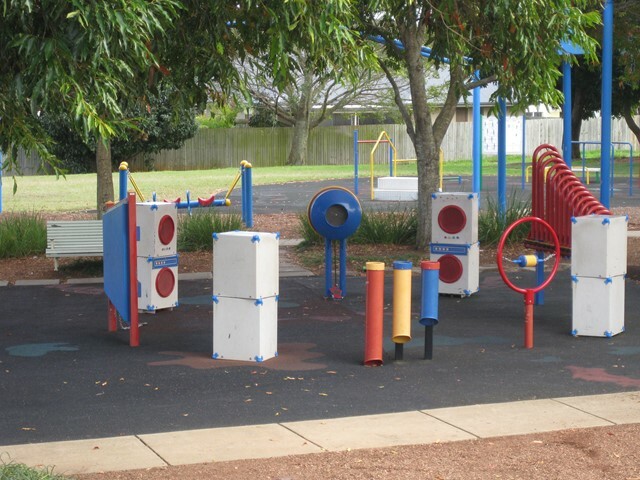 This is a huge park with many wide open spaces as well as numerous shaded playground equipment stations for kids of varying ages. 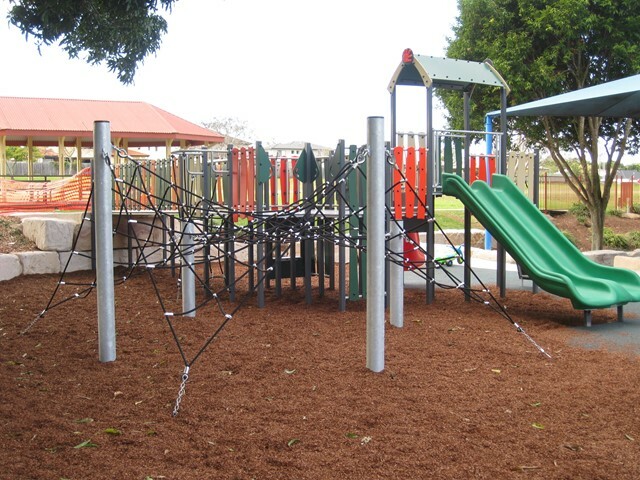 In the playground you'll find a double slide, a climbing structure, a flying fox, a circle of swings, music-making stations and a collection of exercise bars with instructions on how to use them. 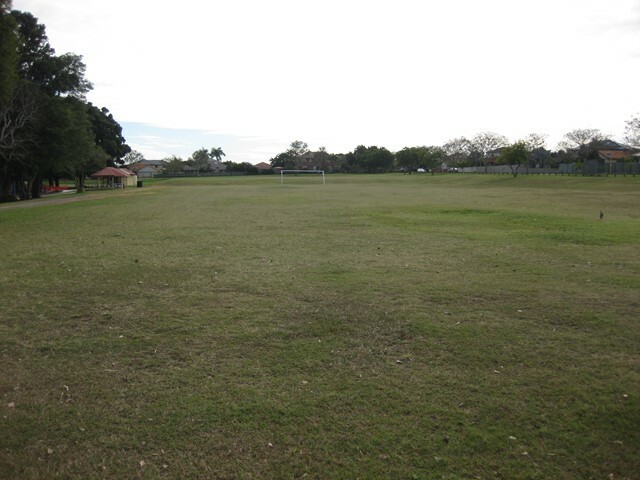 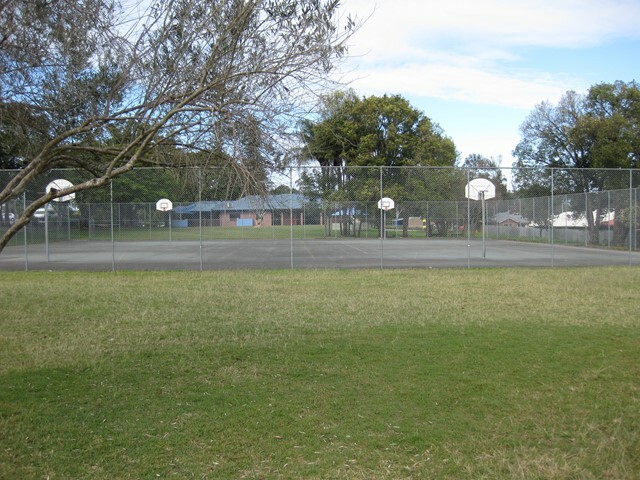 There are two fenced basketball courts as well as the open space of a soccer field with soccer goals at one end. 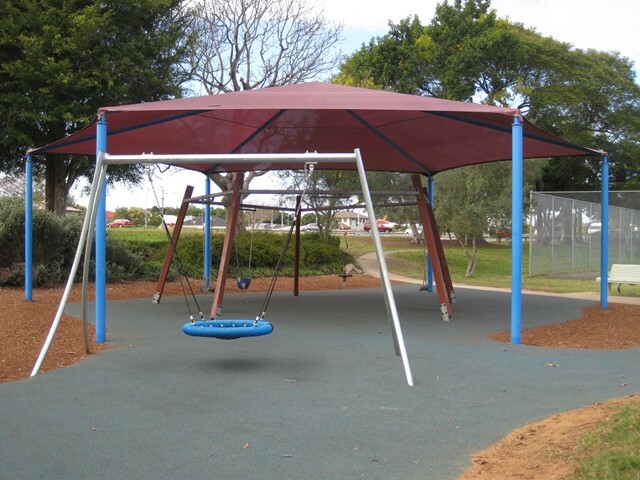 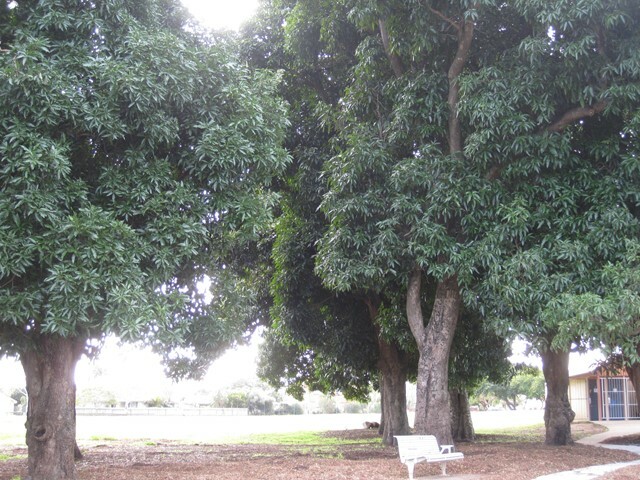 The park has plenty of shady areas if you're bringing a rug for a picnic. 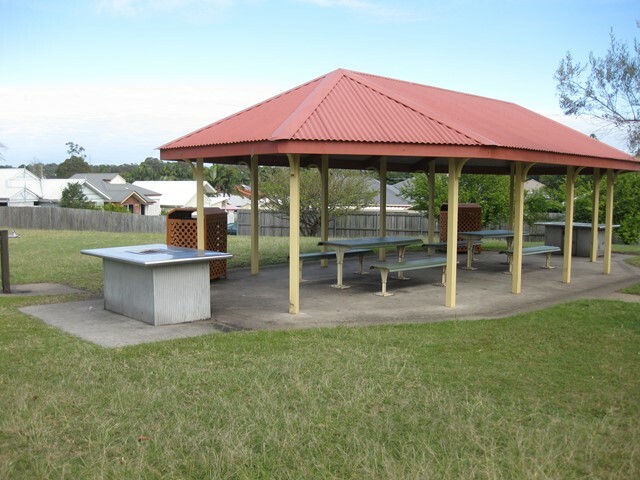 Alternatively there are also sheltered picnic tables and barbecue facilities available. 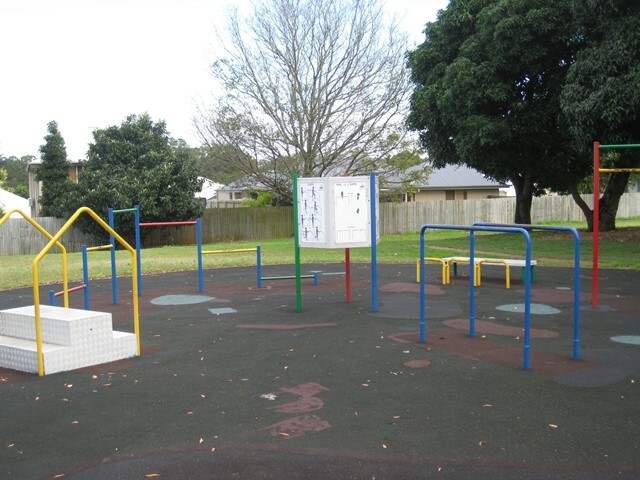 Other facilities include running water and public toilets. 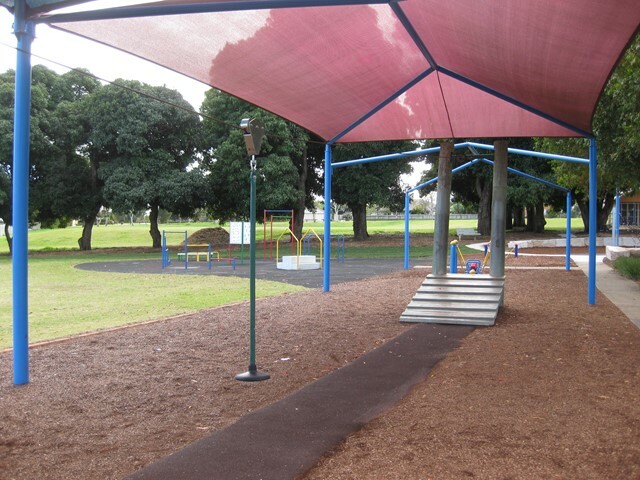 Parking is no problem in the car park or on the street adjacent the park.